Total "FNG" in this hobby but wanted to start this to track the journey of my tank. I purchased my 20 long tank and stand from my local Petco during their annual dollar per gallon sale. I got them for a total of $47.85 so thought I would do a "budget" build but deep down I new that was not my personality type. Over the last month I have spent what a Red Sea Max Nano would have cost me but I am glad I went the path I did. 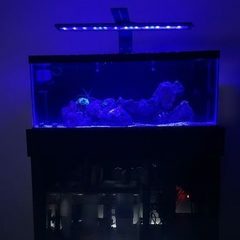 It has allowed me to learn and have a better appreciation for others reef tanks. Like I mentioned I am using a 20L on a typical metal aquarium stand. 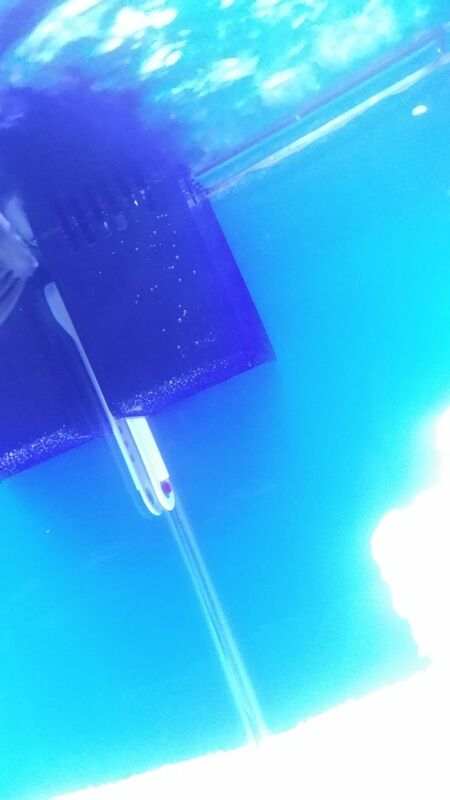 I started by painting the back of the tank cobalt blue. I did some research and seemed like the Aquaclear filters got pretty solid reviews. I am a bigger is better kind of guy so when I started to look at them I was drawn to the AC110. I did back down to the AC70 although because the AC110 seemed like it might be way to much for what I have going on. I didn't want to go smaller than the AC70 because I was planning on putting the heater in it. 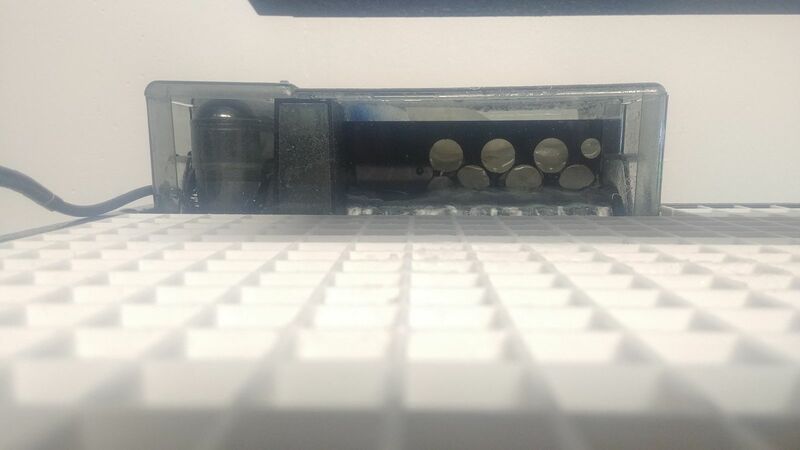 Inside the AC70 I plan to use filter floss and active carbon with a inTank media basket and surface skimmer upgrade. Next for me was lighting, I liked the features and price on the Current USA 24" Orbit IC. Although there was mixed reviews on the PAR output, I figured I would give it a try . Down the road I could upgrade the lighting if I needed to. Choosing Current USA lighting it made sense to purchase the Current USA 660 GPH wave pump kit. My tank set dry for about a week after this until I could make a trip to a LFS. As the closest one is a two hour drive from me. I purchased live rock out of their sump along with a some other small odds and ends. 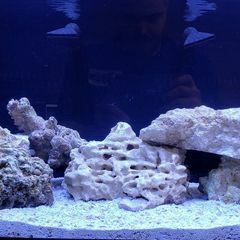 Then I picked up some saltwater and CaribSea reef grade live sand from my local Petco. I started cycling my tank on 11/04/2018 and over the next few days I went Youtube crazy. I ended up wanting to add a HOB refugium to my tank so back on Amazon I go. 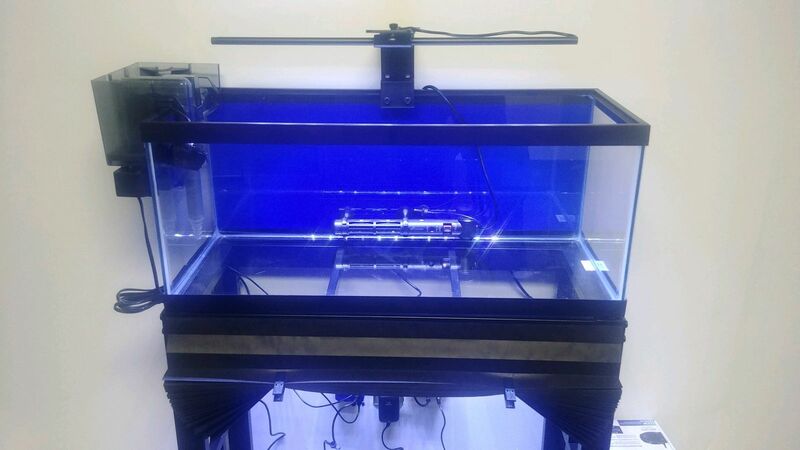 Got my HOB Finnex Refugium with LED Light and put an Aqueon 50W heater inside of it with some chaeto algae. 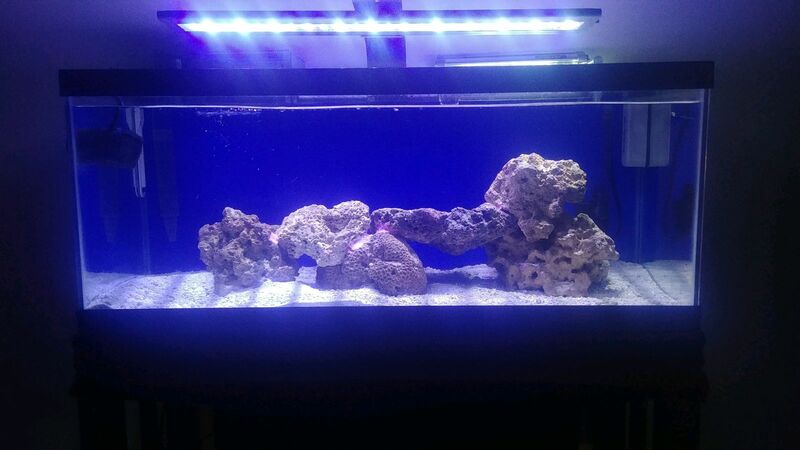 I did have live rock in there because people say it is natural filtration, more has to be better right? 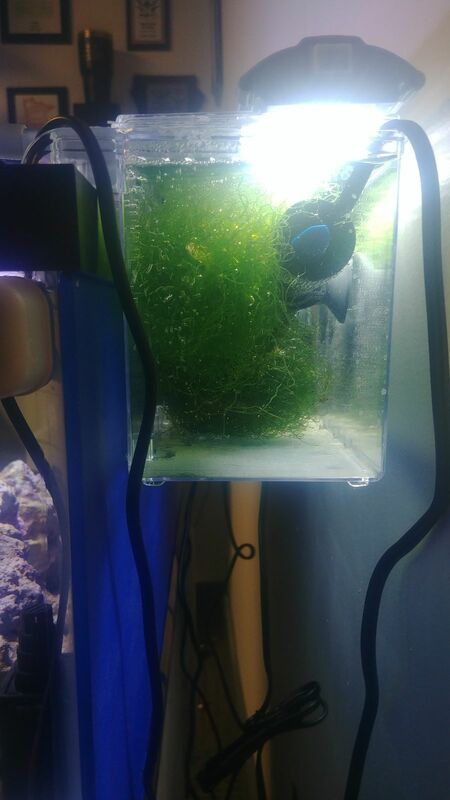 Wrong, after joining this forum I found a lot of helpful people that recommended pulling it out and running just the chaeto algae so that is the path I have taken. Well "Budget" Build Version II is up and running. I think I have offically blew the budget out of the water. Doors go on it tomorrow. Tell me what you guys think. 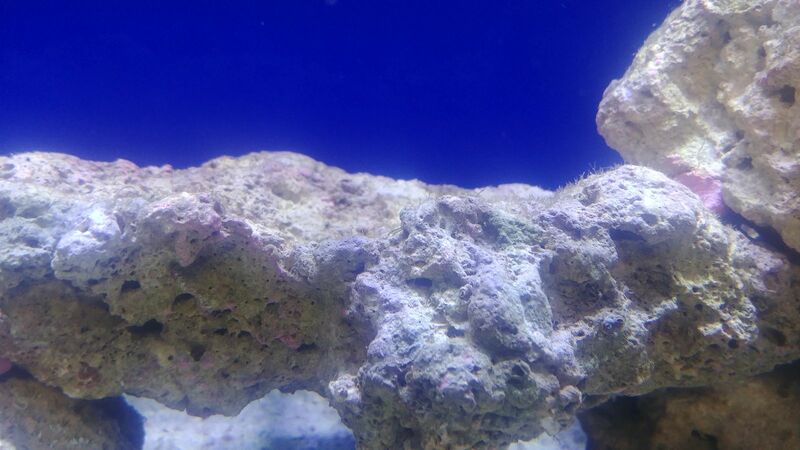 Here is where my rock is at after 11 days. I have read that sometimes the cycle process is shorter with live rock like I purchased. There probably wasn't a lot of die off because it was out of the water for less than 3 hours. 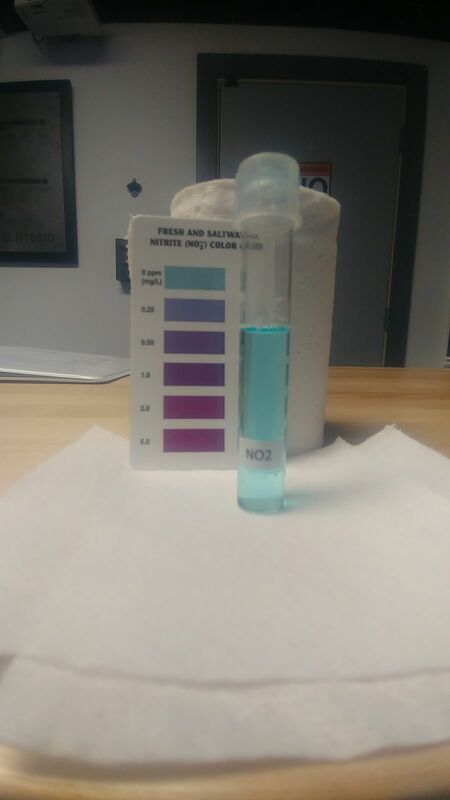 My test are coming back at zero for ammonia and nitrates. 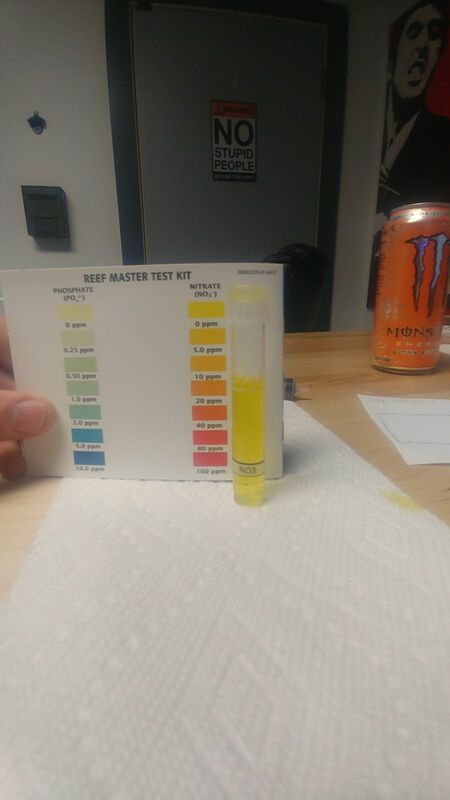 I don't have a nitrite test kit, it didn't come in the API reef test kit so I plan to get one this weekend. 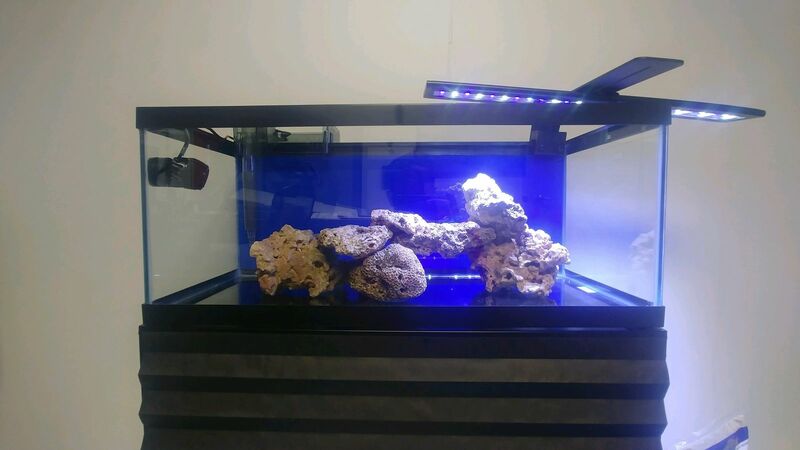 There appears to be some brown algae forming on the rock and sand bed so I feel confident that my tank in mid cycle and I am on the right track taking it slow. 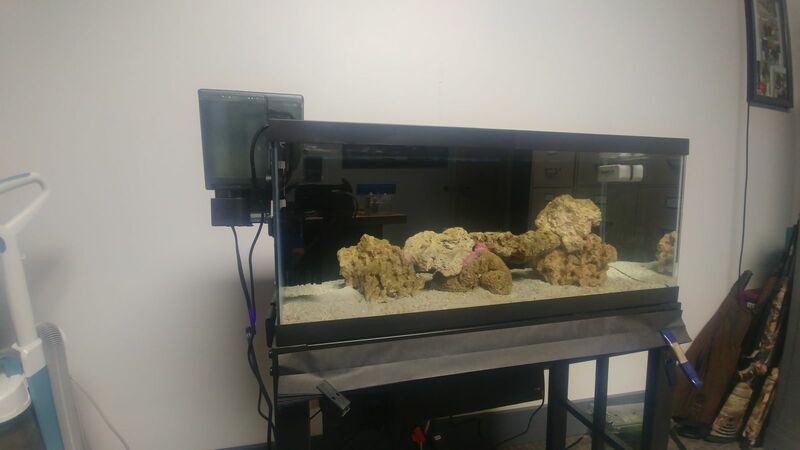 Looking at add a small clean up crew consisting of 2-4 Trochus Snails, 2-4 Nassarius Snails, a cleaner shrimp and a tuxedo urchin. I am still doing research on the tuxedo urchin so I am open to advice. I plan to add this crew in about another 10 days and do my first water change shortly after. During the water change I planned to vacuum the sand bed, blow off the rocks and clean the the refugium and filter chambers. I am excited to keep learning each step of the way in this hobby! I will keep posting as my tank evolves and look forward to any comments and advice you guys have! Looks like a nice start! 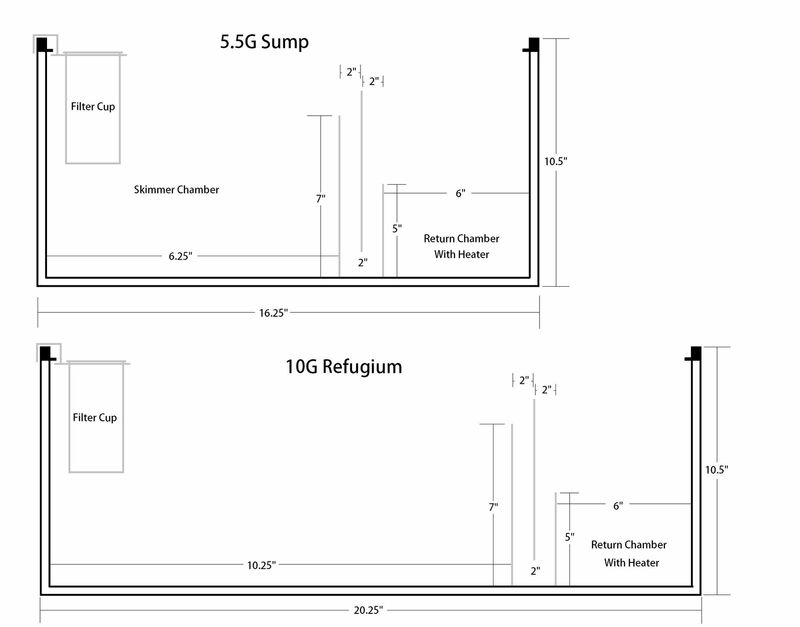 I like the refugium, have been considering one myself. Will watch to see where this tank ends up! Hey, looks really nice so far! Very clean looking equipment setup. What are you planning on in terms of livestock? You've got a lot of real estate for corals. Thanks, seems to run pretty quiet and looks good IMO. I am pretty new to this but the quality looks good. Thanks I am trying to keep all the equipment from standing out and catching peoples eye from the display tank. 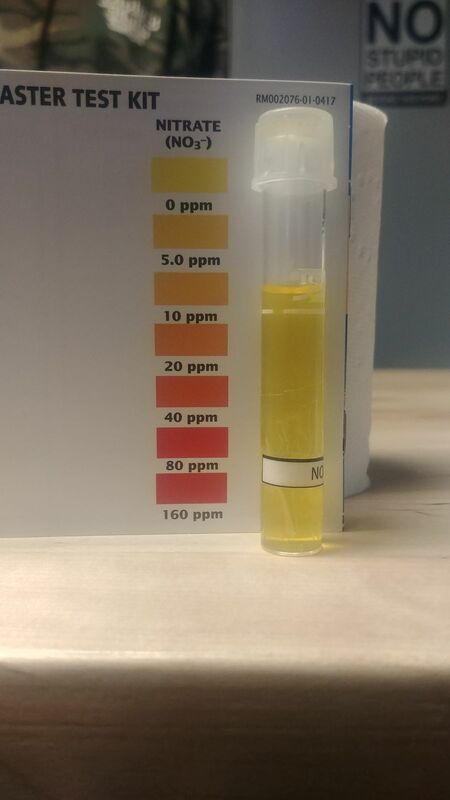 I am considering a Eshopp PSK-75 skimmer after I start adding livestock. 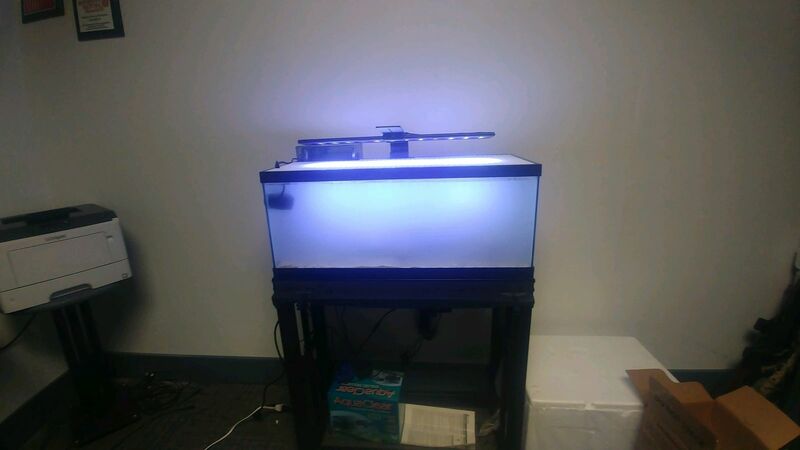 I am going to keep 3 fish, I think 4 would be to much for this tank. 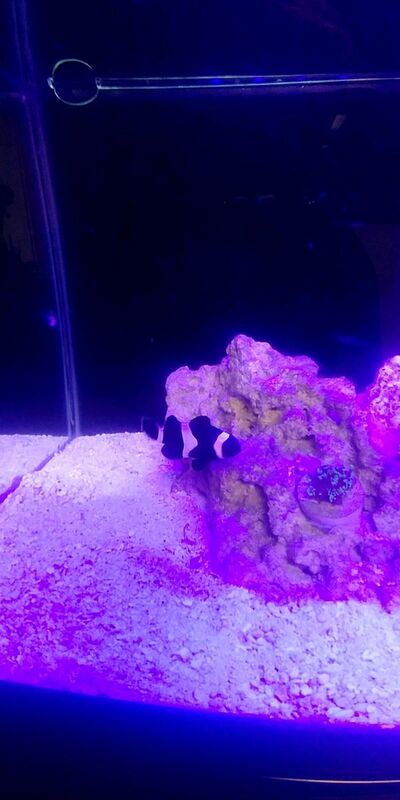 I was thinking one black and white clownfish, bangaii cardinalfish, and still looking but maybe some type of Goby. Coral I was thinking a few different colors of Zoanthid, Frogspawn, Few Mushrooms, maybe a Green Polyp. 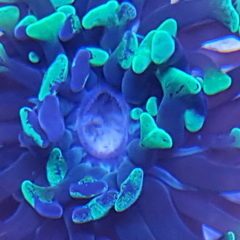 I also like the LPS Hard coral but I want to see how much room I have and what this light can do. But there is so many choices and I have to make sure they all will coexist together. 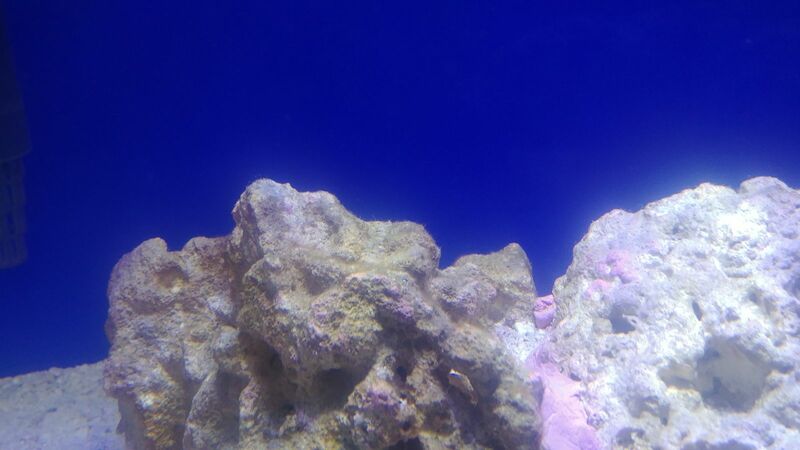 I really wanted to have room to have several coral but still leave plenty of room for fish to enjoy and swim. Got the inTank surface skimmer and media installed today, shipping was way faster than expected. I am extremely happy and like the way it it cleaned up the inlet for the AC70! 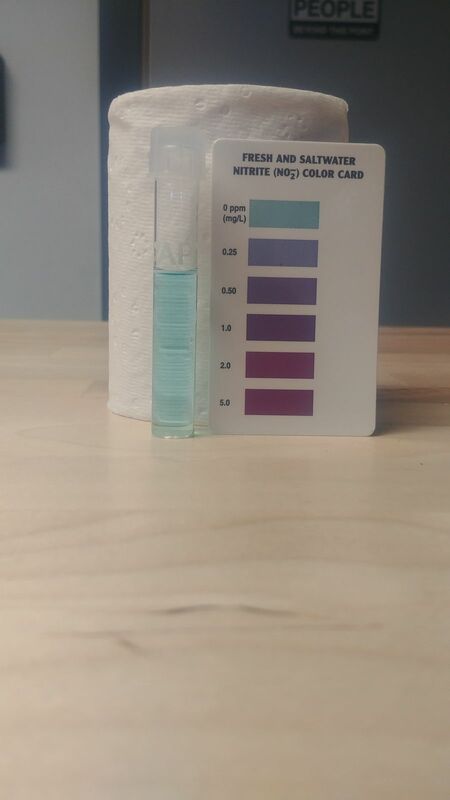 Did some water test today. 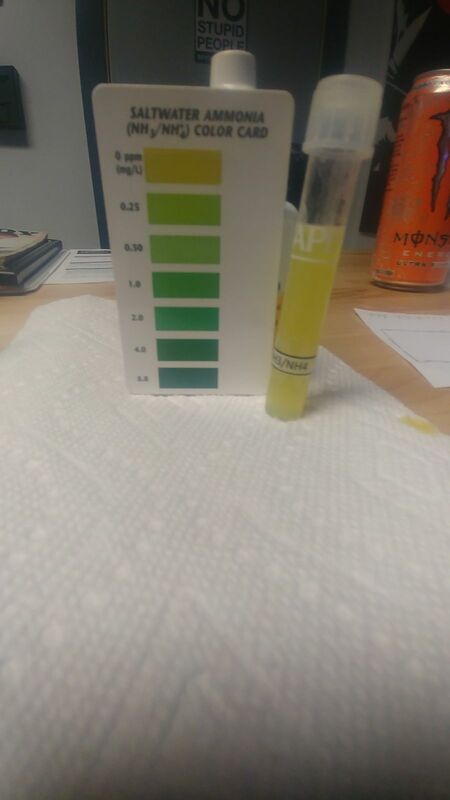 PH 8.2 -seems a little high what do you guys think? Also want to bring the salinity down should I pull a small amount of water and add RO DI? pH should be fine where it is. But yeah, your salinity is a little high. Remember, if you have livestock, you want to do all water parameter shifts slowly. If your salinity drops three or four points in a minute, it'll shock any inverts and most fish you have. Just go slowly and you'll be fine. You can pull some sw out of the tank and replace it with rodi. 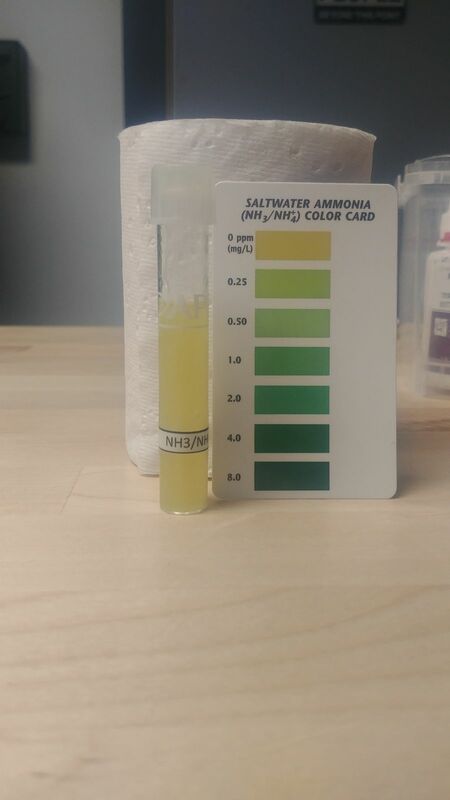 Alternatively when you do your partial water change at the end of the cycle, you can mix your replacement saltwater at a lower salinity like 1.024 then test to see where salinity is at. Also have you provided an ammonia source to the tank either by ghost feeding,1x grocery store seafood section shrimp or ammonium chloride? Its an empty tank until Sunday so was going to try and correct that before then. I have not yet was going to start this week. 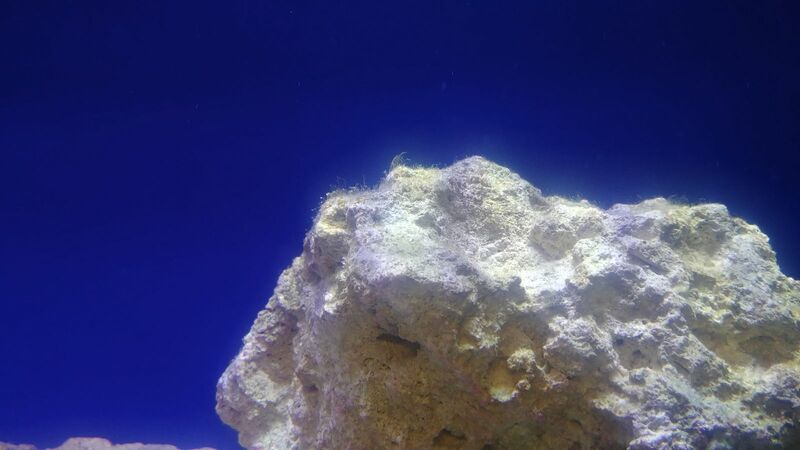 I start with the live rock from the LFS and going from there. What should i get from the seafood section? Any recommendations on Ammonia I have a petsmart and petco but that's it for LFS. 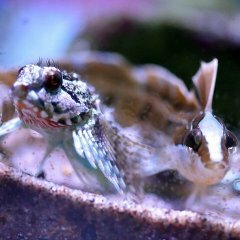 I have read that if the ammonia doesn't bubble its pure ammonia and safe to use on aquariums. 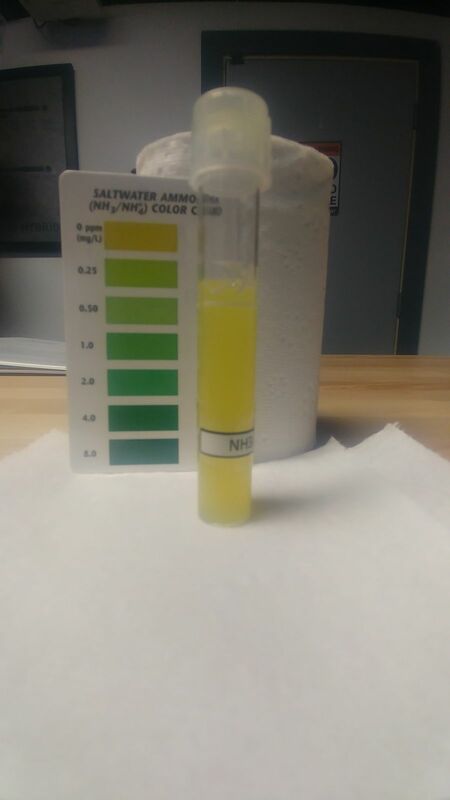 I purchased some pure ammonia (say's pure and clear didn't bubble like soap when I gave it a good shake) Add just under 2ml to my 23 gal system test before and came out to zero and going to wait 2 hours to see what it test at. Was extremely nerve racking adding it just don't want to jack anything up. If it reads 0.00 does that mean my tank has completed its cycle? 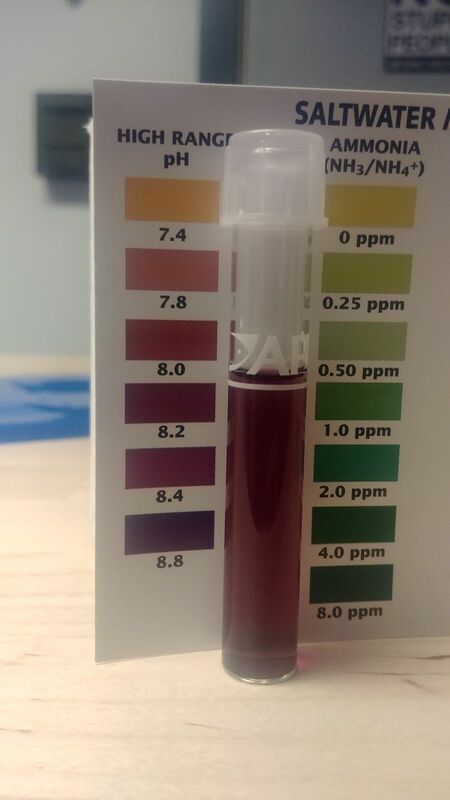 On the flip side lets say I still around .25 and 1 ppm do I wait till it is zero and the re add some ammonia? Swinging by work before eating myself in a coma tomorrow. Enjoy your holiday and thanks for the help so far everyone! Just made a trip into work to test the levels and here is what I came up with. 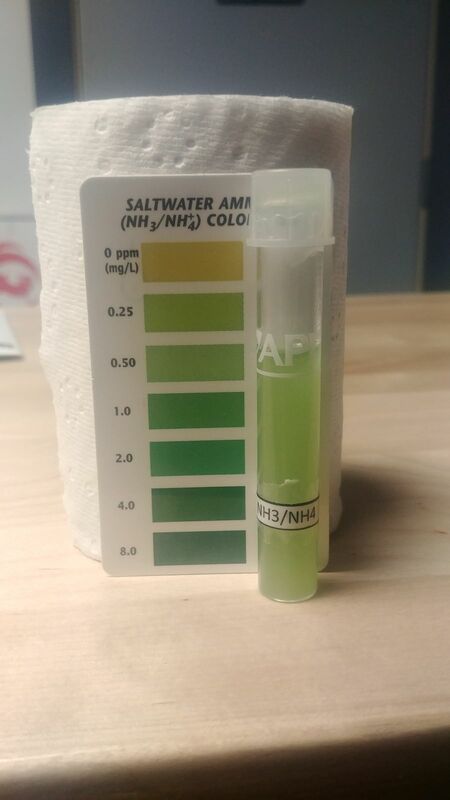 Plan moving forward is to correct my salinity tomorrow by pulling a small amount (half a gallon?) of water out and adding RO DI. Test it after 30 min to a hour and continue as needed. Sunday I will be making a trip to a LFS the plan was to add CUC. But I have been seeing people say add fish first to give my CUC something to eat. I wanted to add 2 to 3 coral and a fish at the same time if I add a fish. Recommendations on how to proceed here what be much appericated. I always add CUC first. From your photos it looks like there is the small wiffs of algae typical after a cycle that they will eat. I wouldn't add the urchin yet though. Urchin will benefit from some more stability and more algae, including coralline algae. Cleaners are not really part of the CUC either, they will eat prepared foods though. 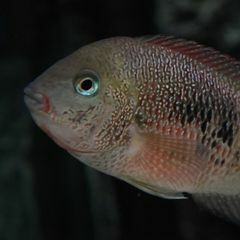 They clean fish and basically scavenge to left over fish food and steal it from corals and piss off owners of LPS tanks. I was think a few Trochus Snails for the CUC to start, I did a little more reading on the Urchin and decided to wait until my tank was more established on that one. So tried to fix a small "peel" in the paint and it spiralled out of control... Couldn't just leave it and now the tank background is black... More of a "classic" reef tank now i guess. 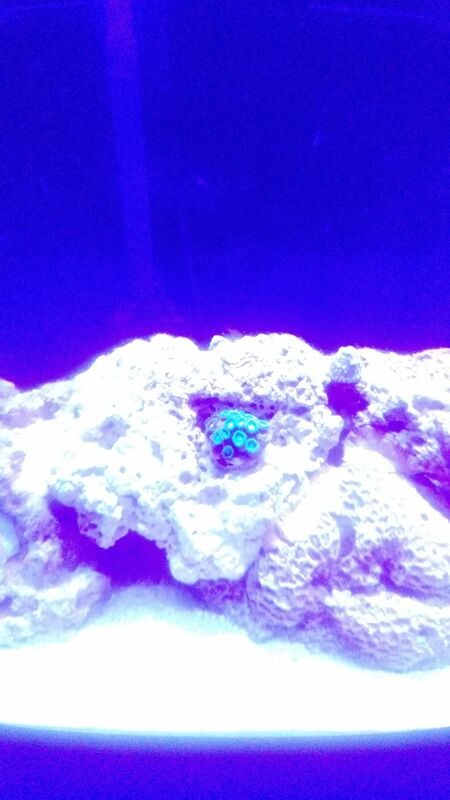 Picked up a Green Star Polyp, Acan, and Zoa frags. 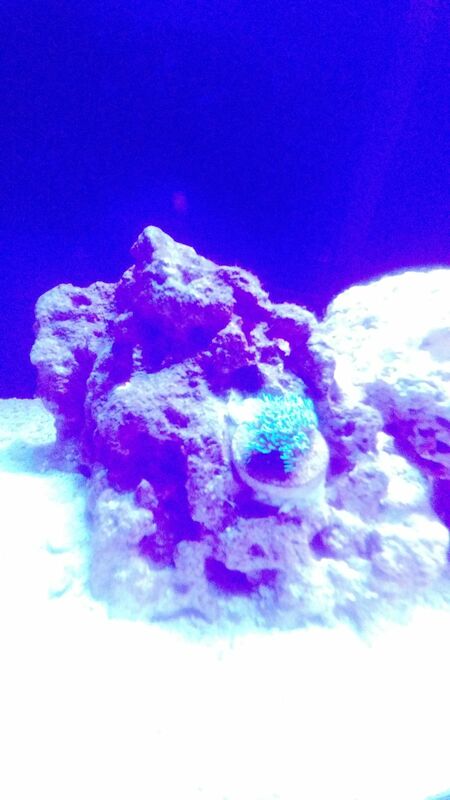 Then a Darwin Clownfish, Cleaner Shrimp, and 2 Astrea Snail's. 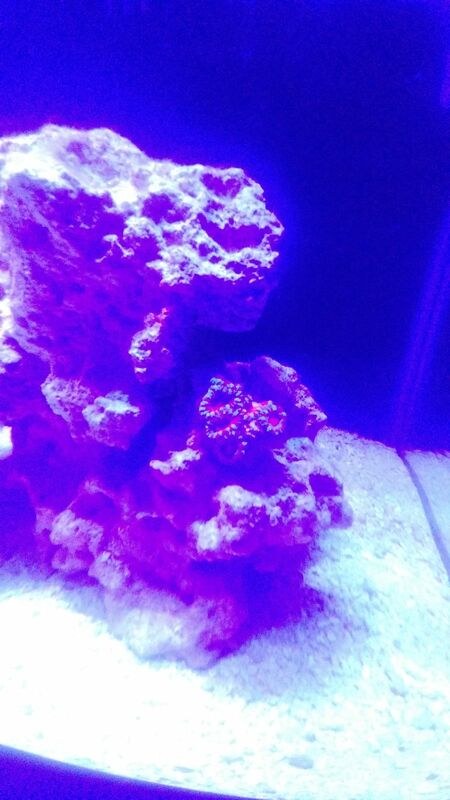 Dipped the coral and got everything add last night and they are all opened up today. 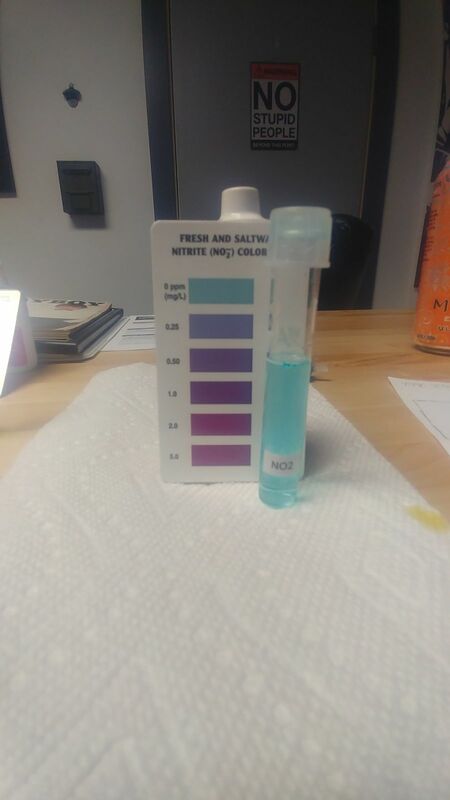 Tested ammonia, nitrite, and nitrate today. Looks good doing a water change Friday. Sorry for the pictures don't have the right filters for my camera. It took about 3 weeks for mine but it seems to be handling the bio load so far. Going to keep test all week. Starting on a stand to fit a sump and stand alone refugium this weekend.